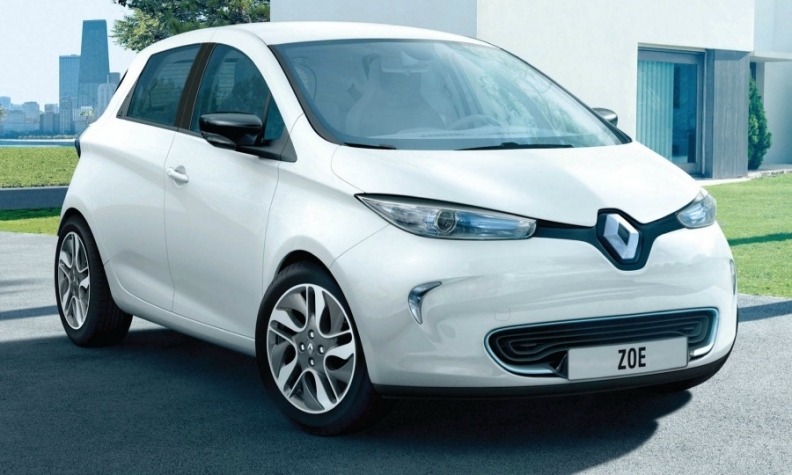 Renault will double maximum output of the next Zoe in Flins. The current model is pictured. PARIS -- Renault will invest more than 1 billion euros ($1.2 billion) to increase electric vehicle production capacity in France and add new models. The Zoe production line in Flins, west of Paris, will double its maximum output with the battery-powered subcompact's next upgrade, the company said in the statement. Besides the Zoe, the factory builds the Renault Clio and Nissan Micra cars. Renault's Douai factory in northern France will tool up to build electric cars on a new EV architecture shared with Japanese affiliate Nissan to create a second Renault electric vehicle production site after Flins. The plant builds the Renault Espace, Scenic/Grand Scenic and Talisman models. "The acceleration of our investments in France for electric vehicles will increase the competitiveness and attractiveness of our French industrial sites," said Renault CEO Carlos Ghosn. The Cleon plant will triple its electric motor production capacity, while Maubeuge in eastern France receives tooling investment for the next Kangoo van including its electric version, Renault said.